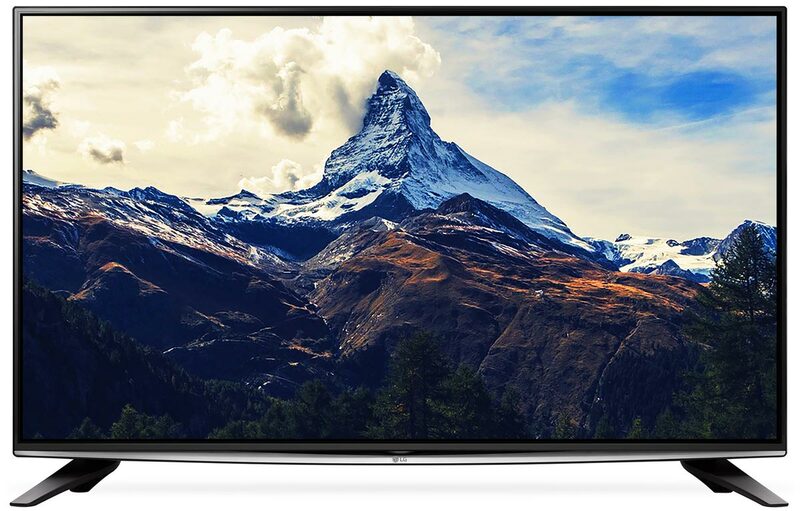 Over the last few years, LG has established itself as the most innovative TV manufacturer and delivered on the promise of OLED TVs. The company will continue its quest to deliver OLED TVs, this year with support for Dolby Vision. LG is also “matching” Samsung’s ‘SUHD’ TVs with its own line of ‘Super UHD’ TVs. webOS has reached version 3.0 and there are lots of new mid-range TVs. FlatpanelsHD brings you a full overview of LG’s 2016 TV line-up. OLED is the first novel display technology with true mass market potential in over a decade. That statement might surprise some TV buyers as we have witnessed “LED TV”, “UHD TV” and “SUHD TV” monikers emerge in recent years. Confusingly, manufacturers have chosen to rebrand LCDs in various ways but be vigilant. All of these fancy-sounding TVs are souped-up LCD with all of the its inherent advantages and disadvantages. OLED is a real display technology and it will revolutionize the market. As you might know OLED is much more than just a TV display technology. As we speak, OLED is making possible all of the virtual reality headsets. VR would simply be practicable without OLED. OLED will radically change the lighting industry and promises to replace light pulps of all kinds. OLED will also deliver on the dream of paper-thin flexible screens. It is somewhat hyperbolic but in this video LG imagines some of the things that OLED can do. FlatpanelsHD recently visited LG’s future labs and saw prototypes in South Korea and trust us when we say that OLED is the most exciting trend in the display market for over a decade. That might read like a glowing endorsement of LG but of course LG is not the only manufacturer wanting to create OLED TVs. It is simply the only one capable of mass-producing the TV panels at the moment. 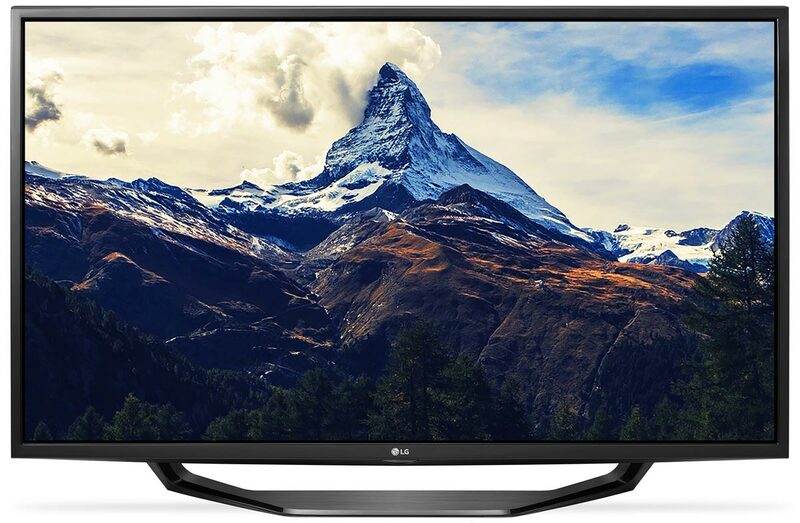 Every TV manufacturer – even LG’s hometown rival – would love to be in LG’s position. So let us jump to what matters; the products we can actually buy. Last year, prices on OLED TVs came down dramatically and 2016 could be the year that OLED starts making inroads into the mainstream market. 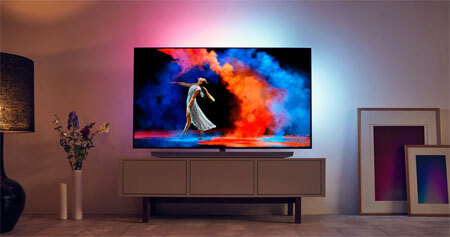 LG has unveiled a total of four new OLED ranges. The G6 and E6 are high-end OLED TVs with ultra-thin designs and built-in “soundbars”. In May/June, LG will add the cheaper B6 and C6 OLED ranges. Three of the four new OLED ranges are flat, something that will surely please many potential buyers who have avoided curved TVs. In 2016, LG will improve HDR (high dynamic range) picture quality through several different initiatives. As we noted in our piece from November the 2016 OLED TVs will be capable of reaching higher peak brightness and reproduce 99% of the DCI-P3 color gamut that is used by Hollywood and in cinemas across the world. For the first time, LG’s OLED TVs (all four models) will also support Dolby Vision, which is Dolby’s premium HDR specification. In addition, the TVs support the “open” HDR10 specification, which is mandatory on UHD Blu-ray. 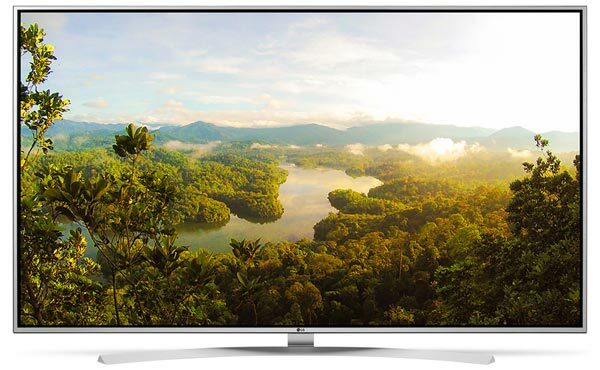 LG argues that it will make their TVs the first to support both of the relevant HDR standards. The OLED TVs are also “UHD Premium” certified. LG is convinced that its 2016 OLED TVs will set new standards for picture quality, and the company is confident that its OLED HDR picture quality will blow away all LCDs. Why? LG argues that its OLED TVs can reproduce “over 20 stops” of dynamic range compared to “12 stops” for high-end LCDs. LG concedes that its OLEDs are not as bright as the brightest LCDs that can reach above 1000 nits in peak brightness but argues that HDR is about much more than simply peak brightness. It is about the full dynamic range and the company reminds us that every single of the over 8 million pixels in an OLED display can reproduce the full dynamic range from pitch black to bright white. Of course, real world testing and customers will ultimately be the judge but as we have noted on several occasions; the best HDR picture we have seen comes from an OLED TV. OLED is definitely the big story for LG in 2016 and that indirectly means a big focus on the best possible picture quality. As you might already have noted, all four OLED ranges offer 4K resolution. LG will not release any new HD OLED TVs in 2016 but last year’s EG9100 model will carry over into 2016, the company says. LG was one of the proponents of 3D with its passive 3D technology that relies on the same 3D glasses that cinemas use. While 3D has been discontinued by most of the competitors, the South Korean manfaucturer will continue to offer 3D in three of its OLED ranges and in some of its high-end LCDs. Jumping to LCDs, LG has chosen to name its high-end models “Super UHD TVs”. This is of course a not-so-subtle dig at Samsung who has chosen “SUHD” as the marketing name for its high-end LCDs. So what does “Super UHD TV” entail exactly? LG says that it a moniker for 4K LCD combined with quantum dot technology. The latter is used to expand the color gamut for better colors. The three UH95, UH85 and UH77 models all support Dolby Vision and HDR10. LG’s new high-end LCDs are not “UHD Premium” certified like Samsung’s new high-end LCD but they hope that customers will value Dolby Vision more. The mid-range UH75 range is no longer a “Super UHD” but looking at the specifications list you will see “HDR support” mentioned. LG is not alone in claiming that its mid-range TVs will support HDR in 2016 - in fact almost every manufacturer claims it - but be aware that most of these mid-range LCDs lack the hardware to reproduce HDR. Here on FlatpanelsHD we call it “HDR processing”, indicating that the TVs can receive and process HDR signals but not reproduce them as intended. Since TV manufacturers have collectively decided to dilute the HDR moniker let us instead step in and be clear; if you want real HDR you need a LCD with lots of local dimming zones or an HDR-capable OLED. Another thing that you have to be aware of when browsing LG’s LCDs is that an increasing share of the LCDs, basically all the non-“Super UHD” models, come with what LG calls M+ panels. These are RGBW LCD panels where one white subpixel is shared between each cluster of RGB pixels (unlike on LG’s OLEDs where no subpixels are shared). The jury is still out on these panels but initial testing shows that part of the 4K resolution is sacrificed to reduce power consumption. 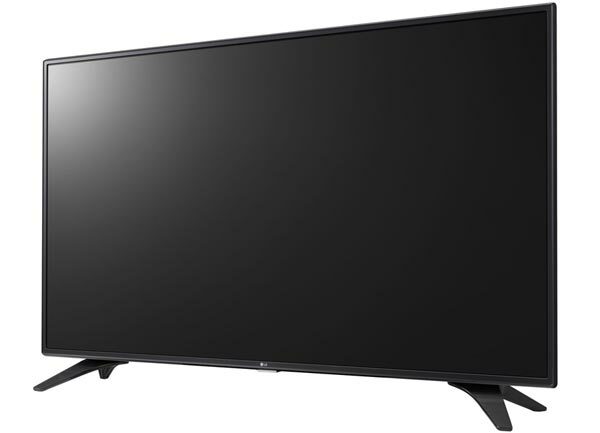 We have indicated which LCD TVs use M+ panels for each model in the overview. When it comes to design and looks the new OLED TVs are incredible thin. LG describes its 2.57 mm thin G6 model, which is part of a new Signature line of products, as “picture-on-glass”. We have already been lucky enough to see G6 in action and it is truly stunning, but we are a little concerned about reflections in the glass panel. The cheaper OLED TVs are also very thin but are equipped with an electronics box on the lower bottom back. Furthermore, LG boasts that its UH95 flagship LCD is just 6.6 mm thin, making it one of the thinnest LCDs around. This obviously means that LG has chosen edge LED over full-array LED. We asked LG about it and the company came back and said that edge LED is used basically throughout the line-up. No full-array local dimming LCDs this year. Another big theme for LG in 2016 is webOS. The TV operating system has reached version 3.0 in its third year. LG has so far refused to collaborate with one of its closest partners in the mobile world, Google, and has chosen its in-house webOS platform over Google’s Android TV operating system. webOS is branded as “make TV simple again” and with a motion-enabled “Magic Remote” you can control a small cursor on the screen to open apps. There is also an app store with apps for most popular video streaming services. webOS 3.0 will be integrated in the vast majority of the 2016 TVs but it will not come to last year’s TVs. LG says that it will release a major update for last year’s TVs but that it will not offer the full 3.0 functionality. 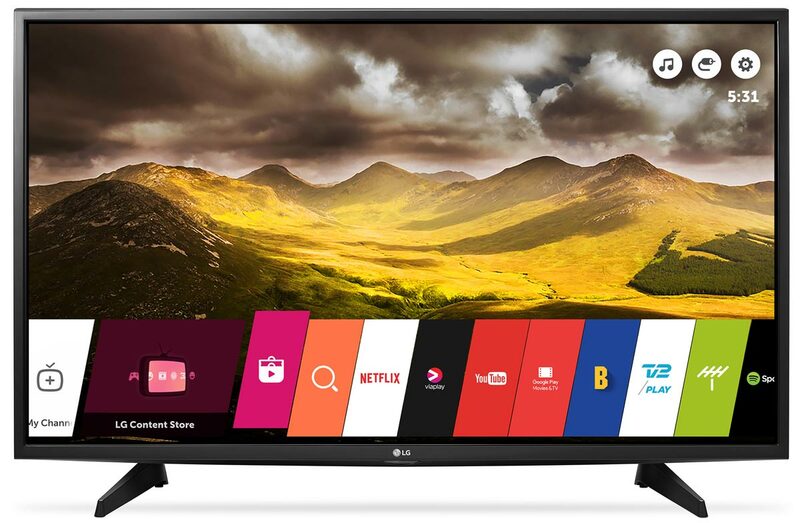 This mirrors LG’s decision to release a webOS 1.4 for its 2014 TVs after webOS 2.0 was introduced in the 2015 TVs. It is not yet clear what the “webOS 3.0 light” update will include but the core webOS experience is of course intact across all three generations. New stuff in webOS 3.0 for the 2016 models includes multi-view (picture-in-picture), Channel Plus (a list that combines streaming content with TV channels), Magic Zoom (a zooming function), an IoT app (for the smart home) and more. Via webOS you have access to services such as Netflix, Amazon and YouTube. All three players already offer 4K streaming, and Amazon has started offering the first TV shows in HDR quality. LG’s webOS 3.0 has built-in support. Later this year, Netflix will introduce HDR streaming and some of LG’s TVs will support that, too. Amazon and Netflix will also introduce Dolby Vision streaming soon, and this too will be supported on LG’s 2016 OLED TVs and “Super UHD” LCD TVs. This is possible because the TVs come with hardware support for HEVC and VP9 decoding. Some of LG’s TVs also support VP9-Profile2, which is required to stream YouTube in HDR quality. YouTube will introduce HDR streaming later this year. However, if you want the best possible picture quality you should look towards UHD Blu-ray discs. The new UHD Blu-ray standard combines 4K, HDR, wide-color gamut and other factors to deliver movies in stunning picture quality. What sets it apart from streaming is of course the much higher bitrate that can be stored on physical discs. 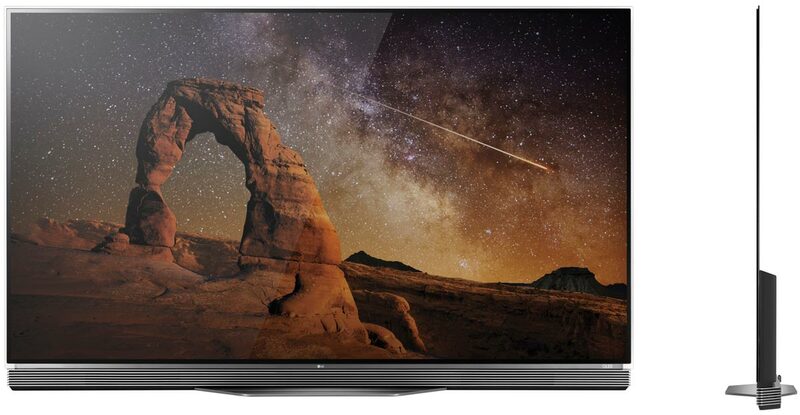 LG is convinced that its OLED TVs are the best TVs around so it is a little disappointing to note that LG has announced no plans to sell a UHD Blu-ray player. You can of course buy one from another company and connect to the TVs via the integrated HDMI 2.0a ports (with HDCP 2.2) but LG should probably support the UHD BD standard if it wants its customers to experience the full potential of its OLED TVs. Maybe they are waiting for the HDMI pieces (HDMI 2.1) to fall in place for Dolby Vision support? Who knows. 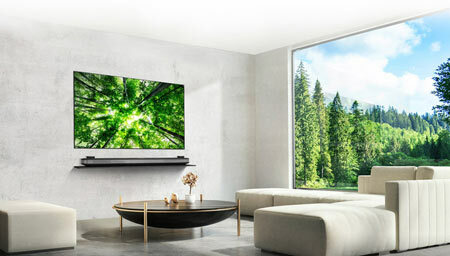 LG has not made much noise about it in 2015 but the 2016 TVs will continue to support “Wireless Sound Sync”, which allows the owner to connect speakers to the TV wirelessly. LG will be glad to sell you the wireless speakers, too. Speaking of speakers, the two premium-prices OLEDs will come with built-in soundbars and several other TVs in the line-up have speakers developed in collaboration with Harman Kardon. The high-end ranges also come with built-in woofers. 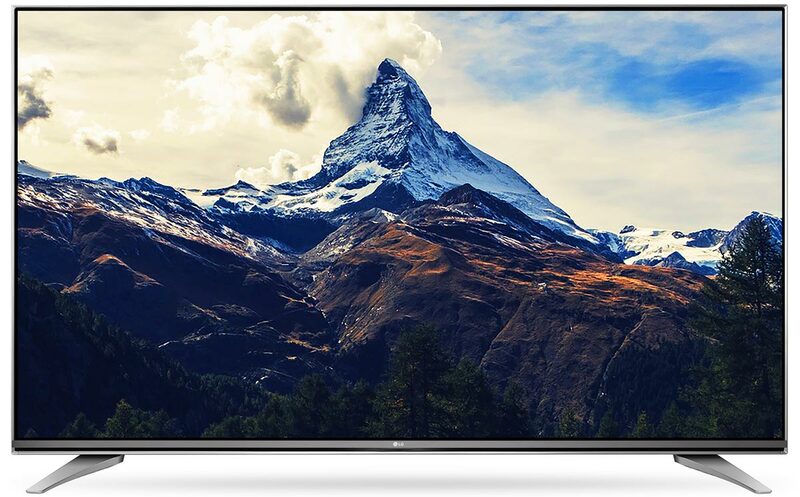 The TVs also come with built-in USB recording capabilities, meaning that if you buy and connect a USB hard drive to the TV you can record TV shows. However, only the most expensive G6 series will have a twin-tuner that allows you to record one show while watching another. LG believes that streaming services mostly cancel out the usefulness of recording shows. Most of the 2016 TVs from LG will be released in spring; OLED TVs a little later than the LCD TVs. The more affordable OLED TVs will be released in May/June. G6 is this year’s flagship OLED TV. It is part of LG’s Signature range of products and is described as “picture-on-glass” design. It is just 2.57 mm thick. It also sets the tone for OLEDs in 2016; 4K, Dolby Vision and wide color gamut. E6 has most of the same features as G6 but design and the speaker system is toned down a little. In terms of picture features, it has all of the same characteristics as its bigger brother. 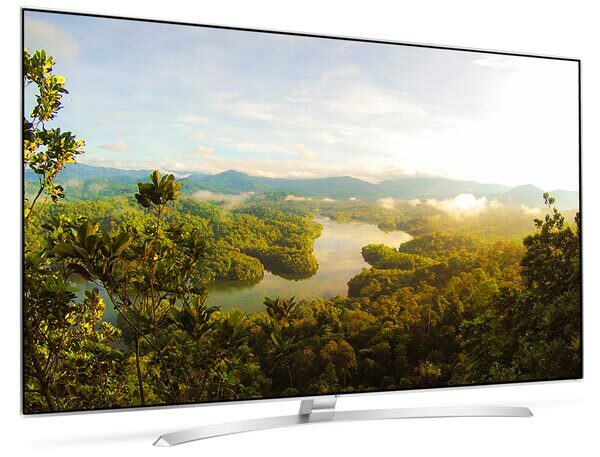 C6 is another OLED range and the only curved model in the 2016 line-up. It has the same picture systems as the more expensive models, including Dolby Vision and a wide color gamut. The most affordable OLED model in 2016 is B6. It is a flat range of OLED TVs that will be available in 55 and 65-inch sizes. It has the same picture systems as the more expensive models, except 3D support. UH95 is the flagship LCD for 2016. It is part of LG’s so-called ”Super UHD” range – a clear reference to Samsung’s “SUHD”. 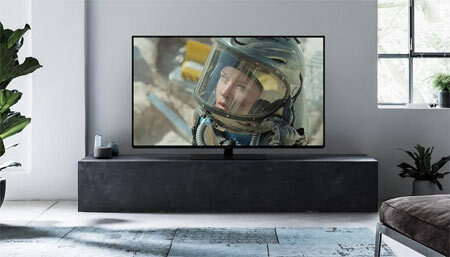 These TVs are also the first LCD TVs with support for both Dolby Vision and HDR10 – the two relevant HDR standards. UH85 is the step-down model from UH95. It will be available in two variants called UH850 and UH855 but is essentially the same TV. It still offers support for Dolby Vision and HDR10 but the TVs are not as slim as UH95. 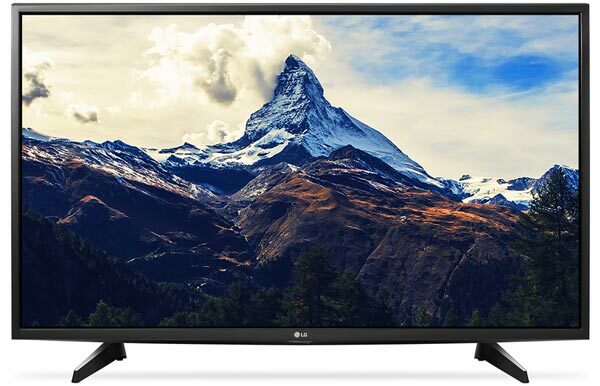 UH77 is the most affordable “Super UHD TV”. It offers support for Dolby Vision but no longer offers 3D. LG says that UH77 does not have the same dimming system as the two other models and it is also somewhat thicker. 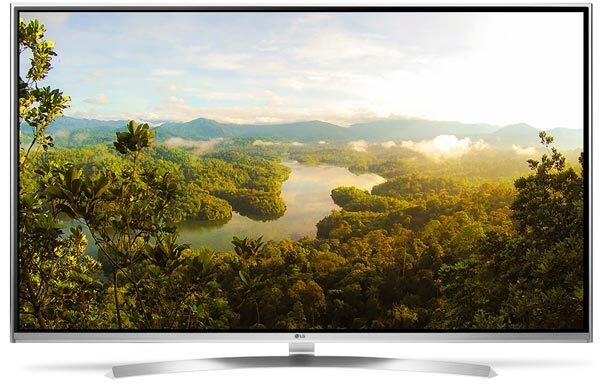 With UH75 we are entering the range of “regular” 4K TVs. It no longer has support for Dolby Vision but still claims support for HDR. Be aware that it does not have the hardware to reproduce true HDR. However, it will be able to process the signal from a UHD Blu-ray player or streaming service. As per tradition LG will offer a myriad of 6 series variants. One common feature is that all of them will offer 4K resolution and HDR processing. The differences lie in design and some minor extra features. In the UH66 range LG will offer several variants, depending on your region. UH65 is another 6 series TV. It is more or less technical identical to UH66 but has a different design and base. UH63 is also part of the 6 series. However, it is somewhat different since it does not use an IPS panel, according to LG. The company refuses to specify the type of panel. It will exist as UH635 and UH630, depending on your region. With UH62 we are approaching low-end UHD. It will be available in sizes from 43 to 65 inches. It no longer has a wide color gamut. It will exist as UH620 and UH625, depending on your region. 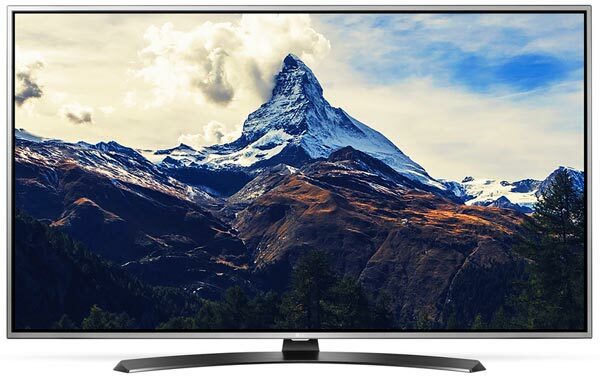 UH61 is another cheap 4K TV in the 6 series. It will exist as UH615 and UH610. The only difference is design. The cheapest 4K TV from LG in 2016 will be UH600. It will be available in May in 49, 55 and 65-inch sizes. It no longer has HDR processing and webOS.